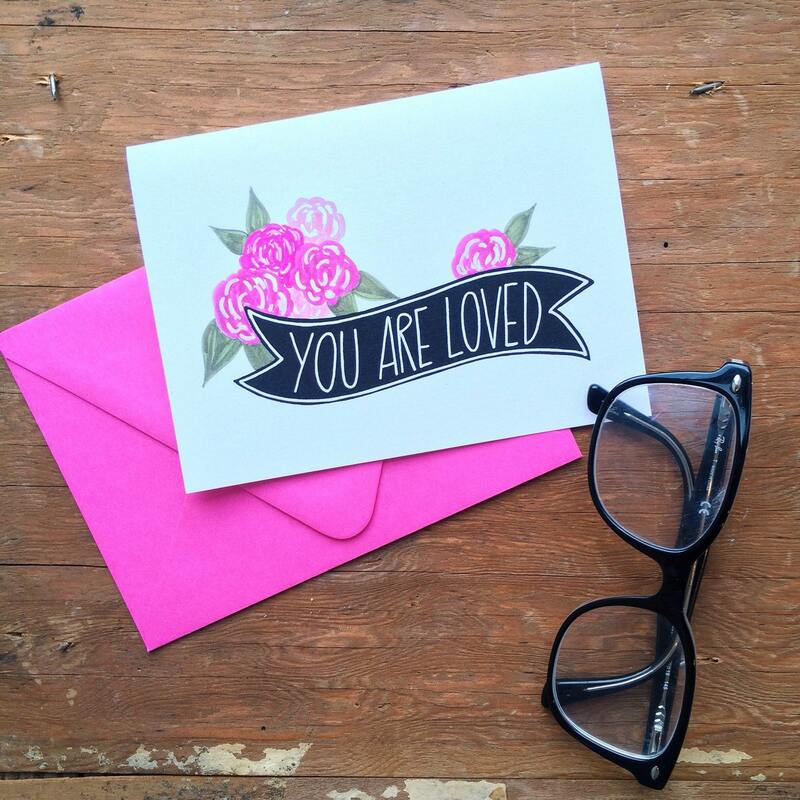 The perfect 'I love you' card for any occasion! Tell mom she is loved this Mother's Day, your best friend on her birthday, your partner on your anniversary or Valentine's day! Professionally printed at my local print shop on heavy weight card stock. Includes fuchsia French point envelope. A6 sized.